One in three Norwegians do not think about which networks they connect to abroad. The almost ruthless mobile use on holiday can make for many Norwegians ending with a holiday merit. Kantar TNS has completed the Great Travel Survey 2018 on behalf of European Travel Insurance, and the result could be better: One in three Norwegians admits that they are little aware of which computer networks they connect to abroad. Especially the adventurous ones are the most hopeless in the class: Four out of ten on the theme and adventure holiday say they are little aware of the network they use abroad. The age group 60-67 years is, on the one hand, those who use the most sense when it comes to data security. “The access to free wireless networks is almost as important for Norwegians as having water in the crane, so it’s wise to know a bit about publicly available wifi before you leave,” says communications adviser Sigmund Clementz in If and European Travel Insurance in a press release. Last year, Telenor reported record growth of 44 percent in data usage in July. But unscrupulous mobile use on holiday may end with a nightmare for many Norwegians. Nordpost in Kaspersky Lab, Leif Jensen, warns holidaymakers Norwegians to act naively. “When everyone in the family goes online, there is definitely a risk that you may be exposed to data attacks via the mobile phone. In particular, the children’s phones should be aware of the adults and what networks they connect to when the data packet is emptied, says Jensen. Cybercrises engineer Peter Granlund in If says that wireless networks offer security challenges as they are easy to monitor. “Most major services on the Internet today use encryption to protect login and the following data traffic, but if you log in to a service that does not use it, the spying on the network can see username and password in plain text. Everyday, Peter Granlund is working to provide security advice and prevent data crime against companies and industrial companies that have so-called cyber insurance. The security expert says it’s easy to set up a wireless router with the same name as a known network, such as “Airport WiFi”. – Your devices can then automatically connect if the signal is stronger. Then, who controls the router can see which webpages you visit – and at worst, trick you into a fake page that claims to be the original. There you can be unregistered login information or allow the attacker access to your data. And everything can happen without notice, “explains Granlund. According to The Verge website, six different US intelligence organizations now deny their residents to buy products and services from the Chinese phone giants Huawei and ZTE. Wray added that such power could allow foreign governments to exert pressure or gain control over the entire US telecommunications network. The FBI is concerned about how such a power position could make it easier to steal information or perform espionage in the United States. According to The Verge, the US authorities’ concern about Huawei is not something new. The technology giant’s founder is an engineer with the past of the Chinese military, and some American politicians believe the company “in practice is an extended branch of Chinese authorities”. In 2014, skepticism led Huawei to ban bidding on government contracts in the United States. The Chinese mobile manufacturer has long struggled to break into the US market, much because of the authorities’ skepticism with the company. In January, Huawei had plans to launch the top 10 Mate 10 in the United States through the AT & T telecom company, but immediately before its launch, the American company pulled out of the deal. Should we believe American media, AT & T was exposed to a strong political pressure. The Verge writes that it is now about introducing a law prohibiting state employees from using Huawei and ZTE products. During the same hearing on Tuesday, Senator and Head of Intelligence Committee, Richard Burr, said they were concerned about China. “My biggest concern today is China and especially Chinese telecommunications manufacturers, such as Huawei and ZTE. These assume strong ties with Chinese authorities, Burr said. Huawei poses outsiders to the warning of intelligence services and US politicians. Huawei’s Norwegian press office writes this to Page3 in an email. Despite a slight downturn in the US market, Huawei is now number two in the list of the world’s largest smartphone manufacturers. Only Korean Samsung is bigger. Google has let hundreds of developers get full access to the email on their Gmail account to users, viewing a review from The Wall Street Journal. Developers can read through each email uncensored. Open to developers. Google lets developers get full access to users Gmail inbox. Here, Sundar Pichai, CEO of Google, talks about Gmail at a conference on May 8 this year. Still, they still allow hundreds of software developers to gain access to Gmail inboxes. A survey conducted by The Wall Street Journal (WSJ) shows that Google does little to ensure that developers are using the data safely. It also varies whether there are computers that scan the emails and summarize the results, or whether there are actual people reading through. There are a variety of apps that you can connect to your Gmail account. The apps analyze the inbox and, for example, offer auto price comparison on shopping, or generate travel plans based on emails from travel agencies, airlines, and rental companies. Many of the apps also collect other data from your inbox, used by developers and marketers to customize which ads you see, according to WSJ. Have you gotten? Facebook has also worn third parties to collect data illegally. According to the newspaper, Return Path is one of the companies that has obtained information in this way. They are partners with a variety of apps. In addition to computers reading through the e-mail, Return Path two years ago asked employees to read 8,000 unsensored emails that were not anonymized. The company claims that this was done to educate the software to extract information on its own. Thede Loder is former development manager of Edatasource, the competitor of Return Path. He tells WSJ that the normal practice in the industry to let employees read through e-mail. WPA3 certification is ready – 14 years after WPA2 got on the run. There are several good reasons to choose wired networks rather than wireless variants, but today Wi-Fi is so good and widespread that most people go for these solutions. Security – It’s a good deal of confidential information in the air, to say so – is taken care of by a protocol with the nickname Wi-Fi Protected Access, or simply WPA. Unfortunately, the original WPA was not so sure, so already in 2004, we got WPA2, which is still holding. But neither WPA2 is infallible, and now the Wi-Fi Alliance, which is the gang behind these standards, has now pulled the WPA3 screen. This is what will be next-generation wireless technology security technology, and will probably be with us for the next couple of years – if it does not prove to have any security holes that are impossible to seal. Just like previous iterations of WPA, the new WPA3 comes in versions for both corporate and private markets. WPA-Personal, as the latter is called, is the version that will take common houses and homes. The major news in WPA3-Personal is that the old password technology that uses a “Pre-shared Key” (PSK) in WPA2 is replaced by something called “Simultaneous Authentication of Equals” (SAE). This will not change how users log on to a wireless network, but will make it impossible for any attackers to download an encrypted Wi-Fi password and try to break this on their own computer. SAE will require that any attempt to guess a password must go directly to the wireless access point, which allows such hacking attempts to be easily detected and blocked. Wi-Fi Alliance believes that this will be so effective that people can now choose easier Wi-Fi passwords so they can actually remember them. Another improvement with WPA3 is so-called “forward secretion”, which prevents anyone from accessing old data if a password should nevertheless be broken. Things already sent on the network will still be illegible. One last thing worth collecting is the new “Easy Connect”, which will make it both easier and safer to connect devices that do not have good display or input capability – which are typical of “things online” Dingser like smart light bulbs and smoke detectors. Connecting a new dings could then be as easy as scanning a QR code with the mobile phone, but naturally requires that different actors use it. Will take time, full conversion to WPA3 will by no means happen overnight. Because WPA3 does not allow the wireless network of our home, including all our things – like mobiles, tablets, laptops, refrigerators, TVs, smoke detectors, door bells, etc. – must also be put in place. It will be a continuous process that will last for years. However, for most of us, this will not have any significant practical significance, as WPA3 equipment will not have any trouble working with WPA2 equipment. However, it will be without the newer security features. 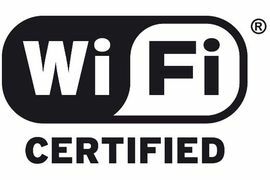 WPA3 certified hardware is currently available to manufacturers. So if you are looking for something new networking equipment, it may be smart to check if WPA3 is already in place or possibly through a firmware upgrade. It will probably take a couple of years before WPA3 will be required to get all new products Wi-Fi certified. Venezuela has blocked all access to the Tor network, according to an Access Now report citing activists within the country. Coming just months after a new round of web blocks within the country, the latest block includes both direct connections to the network and connections over bridge relays, which had escaped many previous Tor blocks. According to network metrics, Tor access in Venezuela had recently spiked in response to recent web blocks placed on local news outlets. Unlike previous blocks, the latest restrictions could not be circumvented by using a censorship-resistant DNS server like those provided by Google and CloudFlare. For many Venezuelans, Tor seems to have been the only way left to access the restricted content. Designed to outwit state-level web censorship, the Tor network routes traffic through a dense network of relays, making it nearly impossible for governments to trace what content is being loaded. More recently, Tor has supported a broader ecosystem of hidden services accessible only through the network, most notably the Silk Road and other cryptocurrency-powered drug markets. 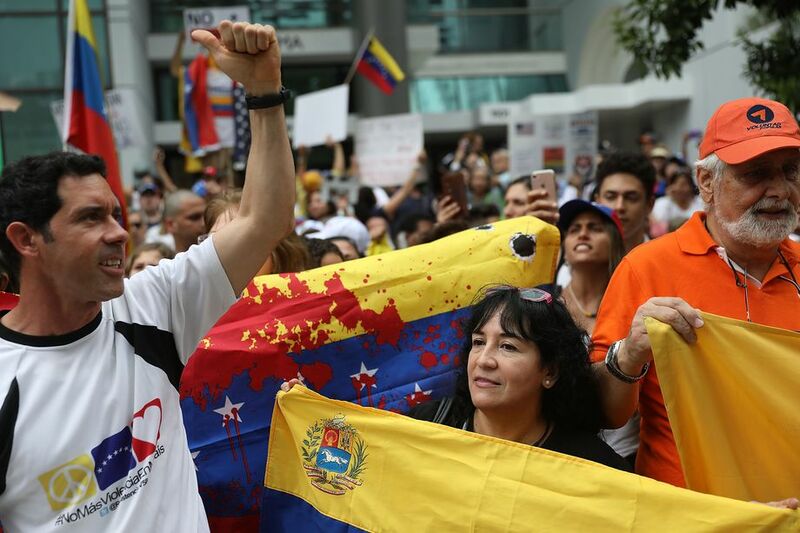 In April, officials from the United Nations officially condemned web censorship in Venezuela alongside the broader detention of journalists. “Even under a state of emergency, the regulation as well as limitation or restrictions on web-sites and television signals transmitted over the internet are disproportionate and incompatible with international standards,” the official statement said. In the latest international update of the WHO list of mental disorders, “Gaming Disorder” is categorized as a personal disorder. The World Health Organization believes that this will help the world’s country do more to identify the problem so that it contributes to better public health. The decision is scientifically based, says the head of the WHO Department of Mental Health, Shekhar Saxena. He also says that in many parts of the world both the need for and demand for treatment for such game addiction is alike. Critics believe that WHO’s decision can lead to unnecessary concern among parents, as well as stamping children and young people who spend time on computer games. Others hope that this will cause the problem to be taken more seriously. They emphasize the importance of detecting game addiction quickly as children and young people at risk do not usually seek help on their own. “A pure forget about” not informing journalists, Intel claims. Updated 8.6: According to Toms Hardware, Intel has now admitted that the 28-core processor running at 5 GHz during the Computex demonstration was overclocked to the extreme using an extremely powerful cooling solution. Intel claims it was an “overlook” that they did not inform journalists about this. As is known, AMD only announced the same day its new 32-core Threadripper. Do not believe Intel is shaking a bit in my legs at the moment? Intel just launched its first processor at a clock speed of over 5 GHz, and the milestones will only continue to fall forward if we believe the company. By the end of the year, Intel plans to release a new extreme processor with crazy 28 kernels. The upcoming processor has not yet been named, but was presented at the company’s Computex press conference this week. During the demonstration, one saw how the 28 cores worked for a total of 7334 points in Cinebench R15 with an average frequency of 5 GHz. By comparison, our Threadripper 1950X achieved 16 kernels that cost almost 9000 kroner 3001 points in the same test. Intel’s most powerful current extremist processor, Core i9-7980XE, manages approximately 3400 points with its 18 kernels. However, this costs 20,000 kroner. Microsoft announces Monday that it has entered into an agreement to purchase $ 7.5 billion IT company GitHub in Microsoft shares. At today’s rate it is equivalent to NOK 60.1 billion. “Microsoft is a” first developer “company, and by combining the forces with Github, we are strengthening our commitment to freedom of development, openness and innovation,” says CEO Satya Nadella in a press release. “We acknowledge the social responsibility we undertake with this agreement and will do our best to ensure that all developers are able to build, innovate and solve the world’s most pressing challenges,” explains Nadella. The agreement is expected to be completed in 2018. (Reuters) – Facebook Inc (FB.O) on Sunday rejected claims by the New York Times that it had allowed Apple and other major device makers “deep” access to users’ personal data saying any such links were tightly controlled and largely subject to users’ consent. Facebook shares fell with 1.3 percent to $191.50 before the bell on Monday, in what was otherwise an upbeat start for Wall Street. The software referred to by the newspaper was launched 10 years ago and was used by about 60 companies, including Amazon (AMZN.O), Apple (AAPL.O), Blackberry (BB.TO), HTC (2498.TW), Microsoft (MSFT.O) and Samsung (005930.KS), Facebook’s vice president of product partnerships Ime Archibong wrote in a blog post. The Times said that Facebook allowed companies access to the data of users’ friends without their explicit consent, even after declaring that it would no longer share such information with outsiders. Some device makers could retrieve personal information even from users’ friends who believed they had barred any sharing, the newspaper said. “Contrary to claims by the New York Times, friends’ information, like photos, was only accessible on devices when people made a decision to share their information with those friends,” said Ime Archibong, Facebook’s vice president of product partnerships. Facebook has been under scrutiny from regulators and shareholders after it failed to protect the data of some 87 million users that was shared with now defunct political data firm Cambridge Analytica. The data scandal was first reported in March by the New York Times and London’s Observer. Archibong also said that these cases were “very different” from the use of data by third party developers in the Cambridge row.